How dare I call travel cheesy, right? Well, it’s not what you think! 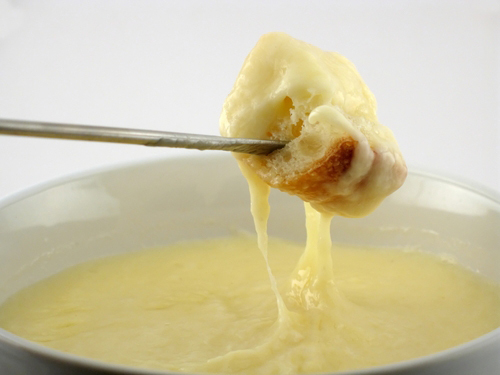 If you know me personally or have read a few of my reviews, you know that “cheesy” is purely a reference to my love of cheese fondue. One might think I’m left over from the fondue fad of the 70s, but in actuality, I just really love cheese, bread, and the combination of cheese and bread (and I have to add that I wasn’t alive for most of the 70s!) While most people collect postcards, Christmas ornaments, or various trinkets during their travels, my husband and I decided to take our love for fondue and combine it with our love for travel, creating “cheesy” memories that will last us a lifetime. So, be sure to check out my reviews for a my latest adventures in the world of cheese and I’ll continually update this post with a list of fondue restaurants we’ve visited around the world. Our very own fondue pot, which we tote with us on some of our domestic travels. Recipes courtesy of The Melting Pot Cookbook!